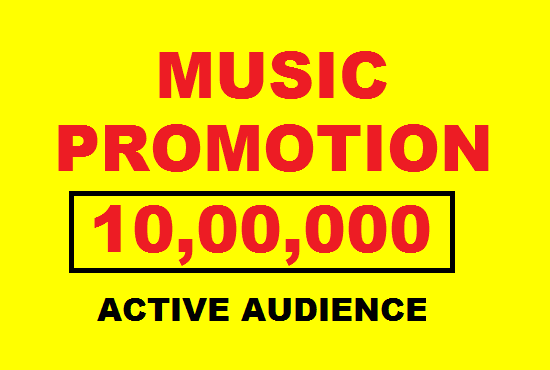 I will promote your music on Popular Social Sites or Provide Music Blog From Where you will get massive Listeners for your music track. ★★ Non drop everything which will be done. ★★ Quality Profiles, Photo, user name and Location. Get Better Music Rankings Now with in the Online Music Community! !This will BOOST your Popularity in the Industry!!!!!! !